Thanks to Jeremy Clark who wrote this up and took pictures of this area! 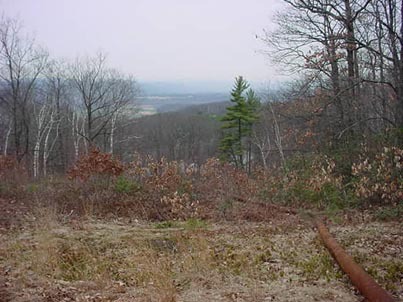 You can see the remains of this area by first paying the tuition (over $30,000) to attend Eaglebrook, joining one of the ski programs, and then skiing down the current beginner trail. The area sported a good 200 foot vertical drop and featured a rope tow. 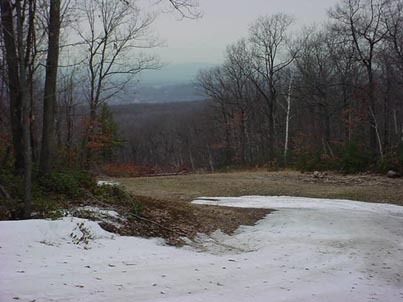 It ran until the current Easton Ski Area opened. 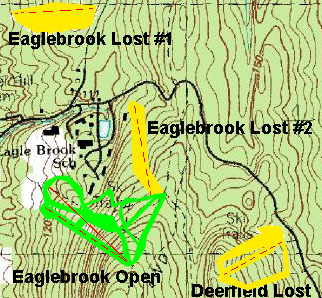 The two ran at the same time for a few seasons, then Eaglebrook Lost #2 was left to grow in. The bottom of the trail is now gone, as new dormitories have been constructed. Anyone have any additional information on this one? If so, just let us know.